7:30 pm - The Rose Room, Swallowfield Parish Hall, Swallowfield Street, Swallowfield. 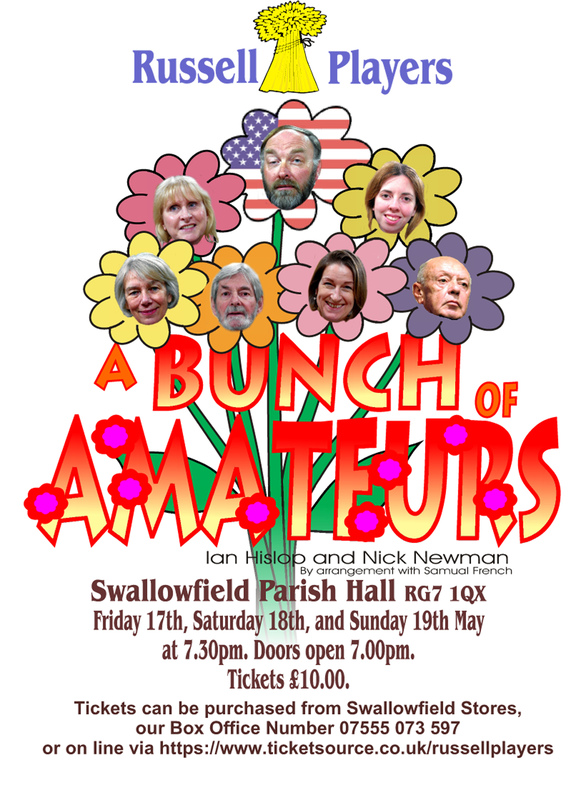 Russell Players present "A Bunch of Amateurs"
7:30 pm - Keen to boost his flagging career, fading Hollywood action hero Jefferson Steele arrives in England to play King Lear in Stratford – only to find this is not the birthplace of the Bard, but a sleepy Suffolk village. Instead of Sir Kenneth Branagh and Dame Judi Dench, the cast are a bunch of amateurs trying to save their theatre from developers. As acting worlds collide and Jefferson’s career implodes, he discovers some truths about himself – along with his inner Lear!